Every year the 4Wheel Parts/Transamerica folks put on a traveling off-road show around the country that many ModernJeepers enjoy. The Truck & Jeep Fest showcases many companies, but only those that sell through 4WP and Transamerica so you may not see all your favorite brands. 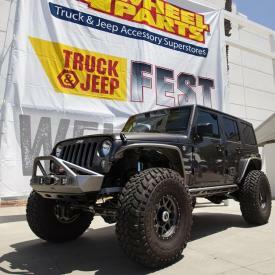 The 4 Wheel Parts 2019 Jeep & Truck Fest traveling off-road exhibition kicks off an 11-city tour on Feb. 16. 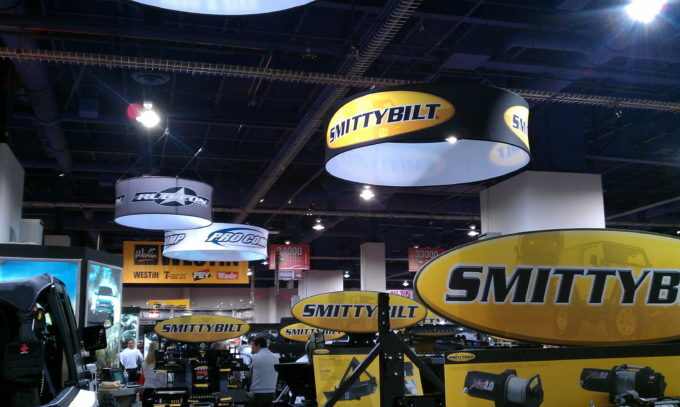 Each tour stop will feature two days of factory direct pricing, custom trucks and Jeeps, ATV/UTVs, aftermarket product demonstrations and giveaways from the industry’s premier manufacturers directly to off-road enthusiasts, according to 4WP. The first stop on the 2019 Truck & Jeep Fest tour will be Feb. 16-17 in Long Beach, California. The campaign will continue to San Mateo, California on Feb. 23-24, Honolulu, Hawaii March 9-10, Houston on March 30-31, Puyallup, Washington April 6-7, Dallas on May 18-19, Ontario, California June 8-9, Denver, Colorado July 13-14, Long Beach again July 20-21, Atlanta on Aug. 3-4, and conclude in Orlando on August 17-18. Visitors to the Truck & Jeep Fest will have the opportunity to enter into a number of promotional raffles, including a chance to win one of two $500 4WP shopping sprees, as well as gift certificates for major brands Pro Comp, Smittybilt and Rubicon Express. Manufacturer representatives will be on hand to provide attendees expertise and insight on the latest off-road products, including tires, wheels, suspension and accessories for trucks, Jeeps and SUVs, according to the company owned by Polaris. Doors open to the public from 10 a.m. to 4 p.m. on Saturday and from 11 a.m. to 4 p.m. on Sunday. Participating manufacturers include ARB, Bestop, BF Goodrich, Bilstein, Bushwacker, Fox Shocks, G2 Axle & Gear, Goodyear, Lund, Maxxis, Method Race Wheels, Mickey Thompson, N-FAB, Poison Spyder, Pro Comp, Rancho, Rigid, Rubicon Express, Rugged Ridge, Skyjacker, Smittybilt, Warn, and Wheel Pros. Many partners of the ModernJeeper/Metalcloak family are in the show so be sure to say hi for us, realizing again that only companies that sell in the 4WP chain will be at the show. You Could Win $100K on 4X4 Day… Courtesy of Jeep! 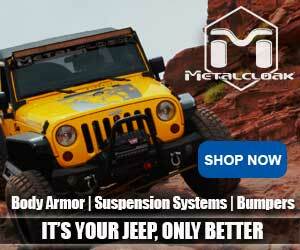 Do You Know These 10 Axioms of Off-Roading?